From very early in his life Jesse has been fascinated by trains. When he attended Early Intervention Kindergarten after he was diagnosed with Aspergers he was always excited to get there as the railway line ran straight past the play area. He would gaze over the fence or out of the window waiting for the trains to race along the lines. As his older brother had been diagnosed as Autistic , my daughter and I split the round of kindergartens, speech therapy sessions and other appointments, so I was always the one to take Jesse and pick him up from Kindergarten. As soon as we were outside the gate he would chatter none stop about everything he had done, how many trains he had seen, what colour they were and which way they were going! Every detail! Unfortunately he never spoke during his sessions there. Not a single word. For almost twelve months the Speech Pathologist followed him round whilst he was playing, but never heard him speak. He didn’t talk to the other children although he obviously communicated in some way with them. He mimed and pointed and got his message across that way. The staff were obviously concerned and began to think that there may be some physical reason for his silence. I could see them looking at me in disbelief when I assured them that at home he was a real chatterbox. I think they thought that the poor old dear was in denial! Eventually we came to the day of his assessment before his transition to Primary School. As he was considered to be extremely shy I was allowed to remain in the room as long as I was silent. The testing was done and Jesse proved his miming standard was pretty high! She showed him pictures and he showed her what you did with a cup or a fork. Problems arose when he was required to answer verbally, he couldn’t find a way to show he knew what colours were so she assumed he didn’t know them. The same applied to counting. At last he was left to play with the toys in the room whilst she explained to me that as he was obviously mute it was impossible to assess him accurately. Every girl dreams of getting married and having kids, “perfect kids”. Kids that run, play sports, have friends, playdates, sleepovers, etc. 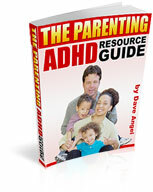 My name is Dawn and I have a child (Dominick) with Asperger’s & ADHD. I had a wonderful pregnancy with no complications. After an unexpected C-Section, my “dream” was born. Dominick met all milestones with no problems. He did love to play by himself and was very particular with his trains. The only “red lights” we noticed was he hated loud music and love to spin and twirl by himself. Pre-school was overwhelming for him. Not knowing he had Asperger’s, I blamed the teachers. I sent him to a private pre-school where he did much better. I sent him back into the “mainstream” classes for Kindergarten and first grade. This was a nightmare. Finally a teacher suggested to have him tested (he was 7 at this time). Sitting with the doctor after they game him all the necessary tests, they told us he has Asperger’s and ADHD. I felt the life sucked right out of me. My perfect child wasn’t so perfect. In the days after the diagnosis, I cried, was in denial and couldn’t focus saying to myself everyday “why God, why?? A couple of weeks later, Dominick and I were in an expensive home goods store. Up and down the aisle we went, all with breakable items. Dominick was in the cart, so happy and singing Thomas the Tank Engine songs when out of the corner of my eye I saw a little boy in a wheelchair with his mom. He was a paraplegic who was using the motion of his head movements to move the wheel chair. From that day on, I promised myself that I will learn all about Asperger’s and will ALWAYS fight for Dominick. I know this was not going to be easy but I have accepted it and am moving on. Actually it’s been hard, very hard. Explaining what he has to my family was one of the hardest things. Another difficult process is hearing that kids think he is weird and teachers think he is being coddled by me. I have a boy who doesn’t like certain foods, who is socially awkward, sometimes even inappropriate. He has sensory issues, misses certain emotions, struggles to make friends, extremely unorganized and is desperate to “be cool”. Even with all that, I would not change anything about Dominick. He is very intelligent, smart, witty, tries so hard to fit in. He is now in a mainstream inclusion class and has made honor roll. He loves building Legos, drawing pictures and when something peaks his interest, he researches this down to the smallest of details. My Dominick isn’t perfect, but his is perfect to me. He amazes me every day. He goes to school with no complaints. He comes home from school, does his homework and chores. He tries to achieve all the goals I set for him. Dominick is a winner, he is a fighter and is the love of my life. He is my perfect boy, always and forever. Your pool water blue eyes draw me in to the glistening sparkle as they dance around as you laugh, and your long fair lashes tickle my cheek as I cuddle you. I see my love reflected deeply like mirrors upon your face, framing your little button nose and your little boy smile from your crinkled pink lips. I feel your pain as your face crumples to tears, as only a mother can feel the pain of a child. You look at me beseechingly asking ‘why me?’ as your eyes and mind try to behave normally. It seems a long time ago I wrote those words when my son was just a few years old, and it was, he is now 12 years old. The deepness of the pain when we were told ‘regressive autism’ he will get worse, so prepare your selves! They were wrong his diagnosis now is high functioning autism/ Asperger’s. The journey seems long but has been worth it. As I remember the years of sleepless nights, the endless tests, the days of nothing you do seems right, the sheer waste of throwing away good food because it didn’t brown evenly in the oven, or it has spots you really cannot see to where we are now! Wow what a journey it has been. If I had to describe Luke now I would have to say he is the kindest, most caring of boys his age. He doesn’t know how to be unkind or knowingly cruel, and accepts every person just as they are, and wishes they could accept him just as he is. He has the deepest of passions for the things he really likes and he really makes us laugh. He doesn’t like looking at people’s faces very much and one day on the beach his dad was trying to put some sun cream on Luke’s face. After several attempts, with Luke squirming away and refusing to face him, his dad finally said in frustration, ‘why won’t you just looking at me?’ Luke said in earnest “because you’re so ugly!” I fell about laughing, even more so when my husband (probably on the spectrum too) said to me later ‘I thought he was joking’. Thankfully Luke hasn’t said that to any of his teachers when he is asked to look at them. He is now in mainstream school without a teacher aid and doing well. The signs and challenges of puberty are now upon us!